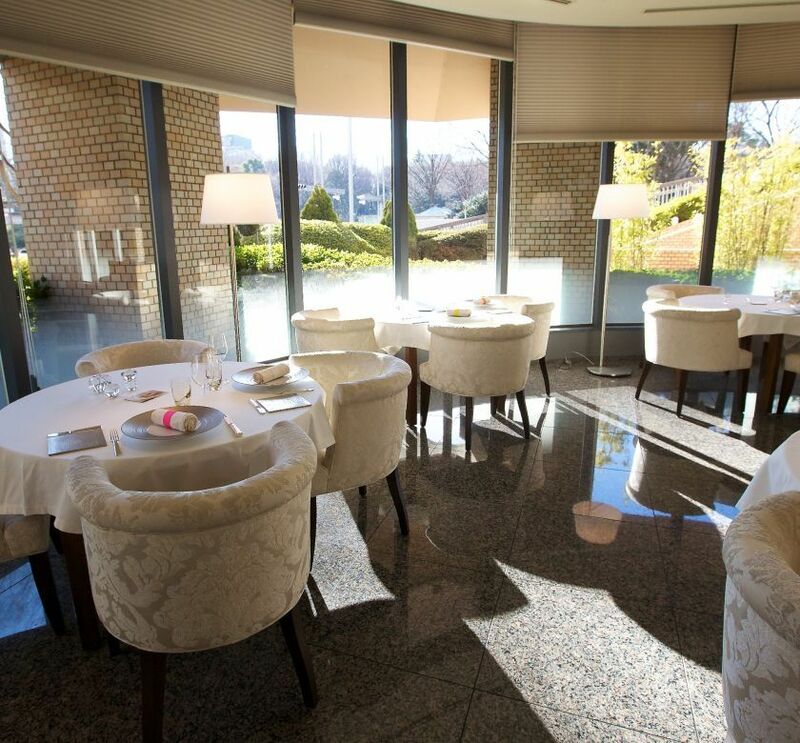 The beautiful, albeit tiny restaurant seats no more than a handful of diners at any given moment, and is manned by a single chef, assisted by one waiter. 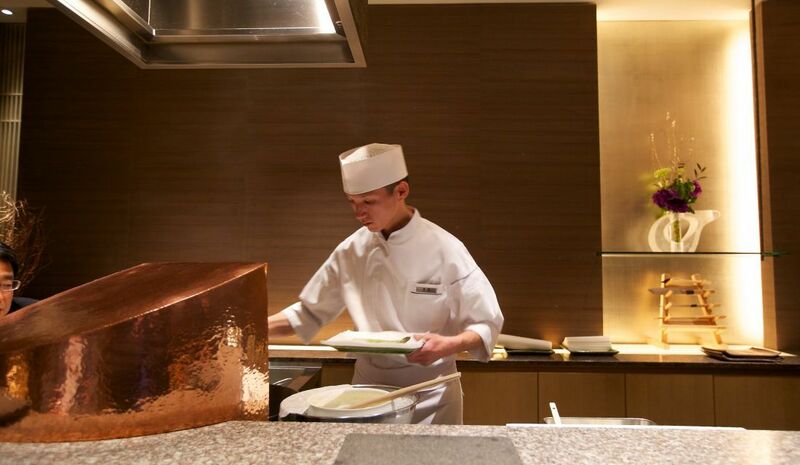 Unlike the army that looks after the guests at Kondo for instance, this feels more intimate, and sophisticated. 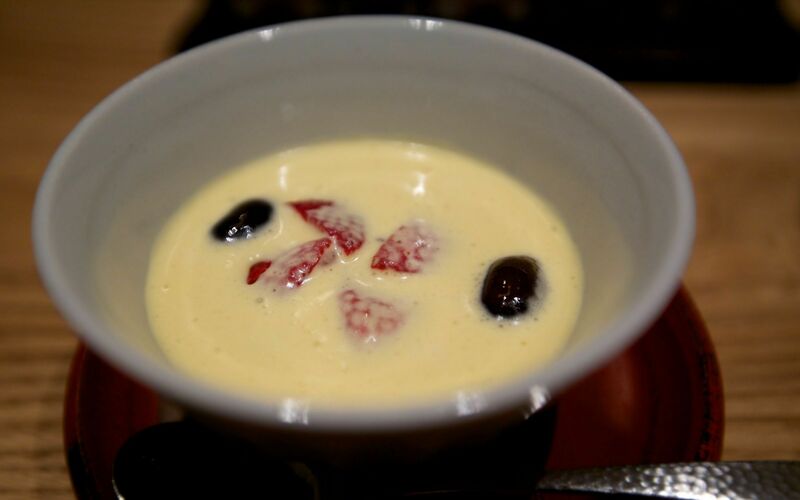 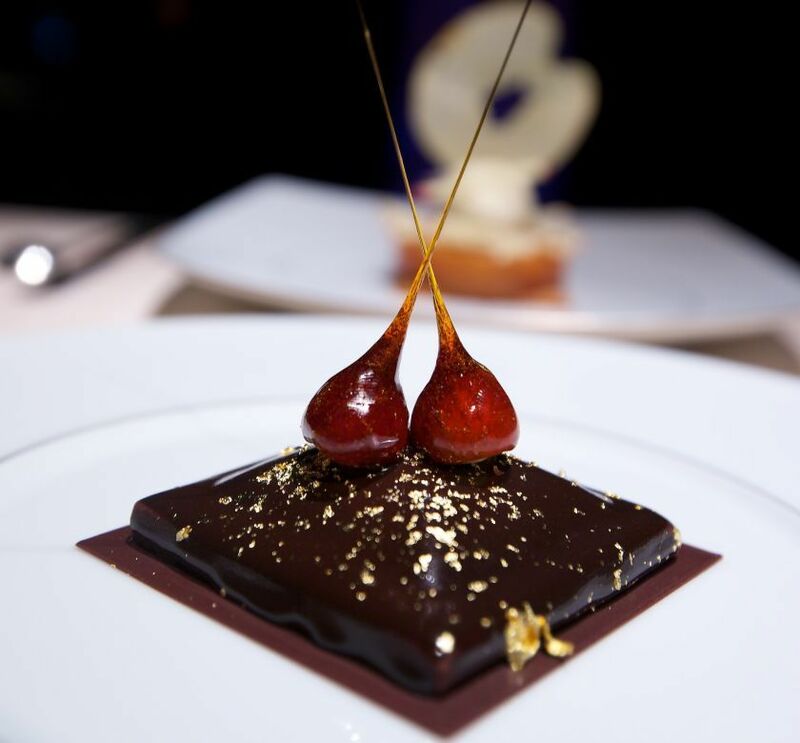 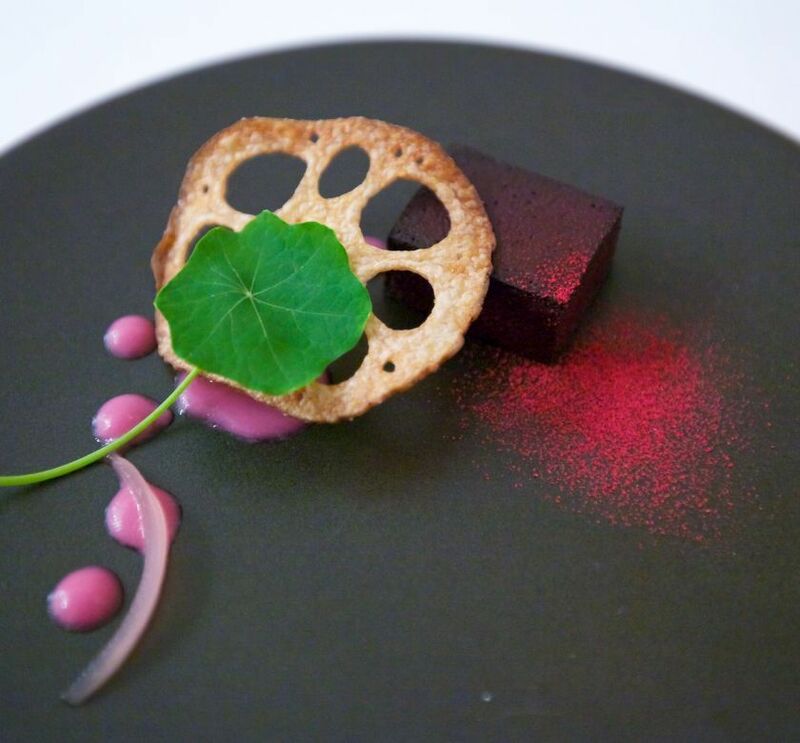 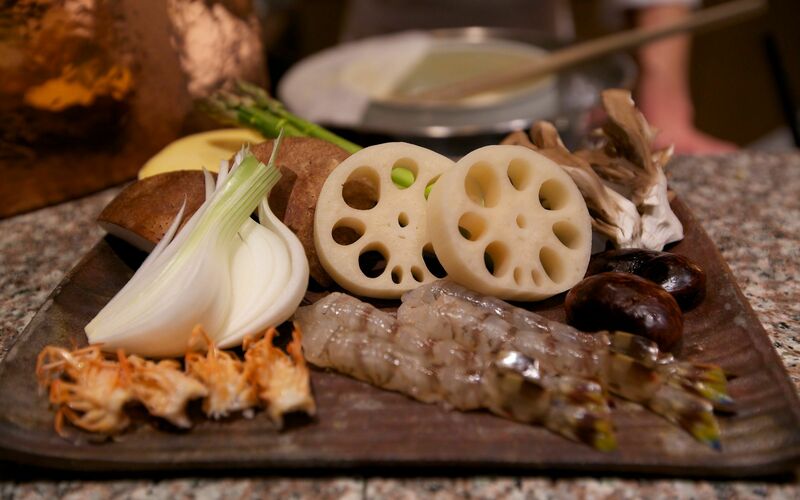 Whilst the décor has clearly been very carefully designed, and put together, what makes this restaurant special in our eyes is the quality of the food. 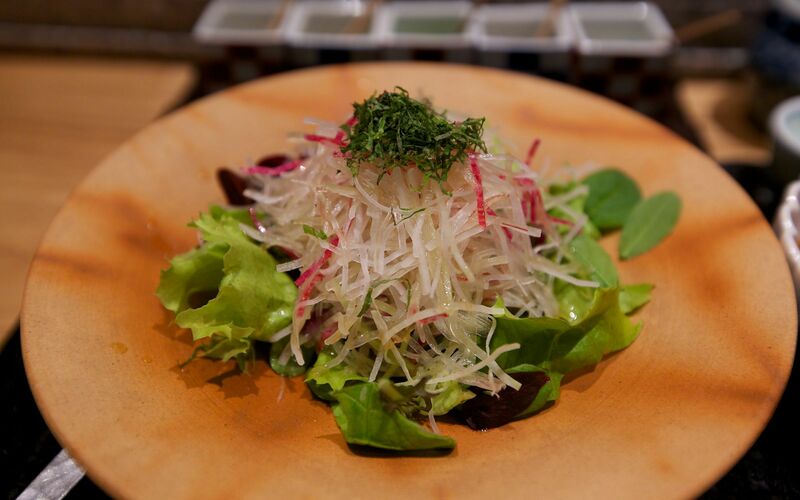 To begin with a few small plates appear. 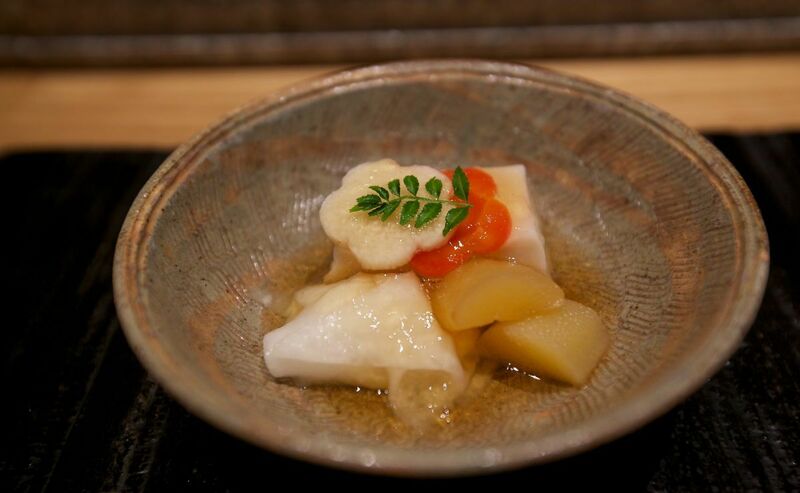 A seasonal starter that might feature poached vegetables, in a fragrant stock, precedes a sashimi course featuring high quality fish. 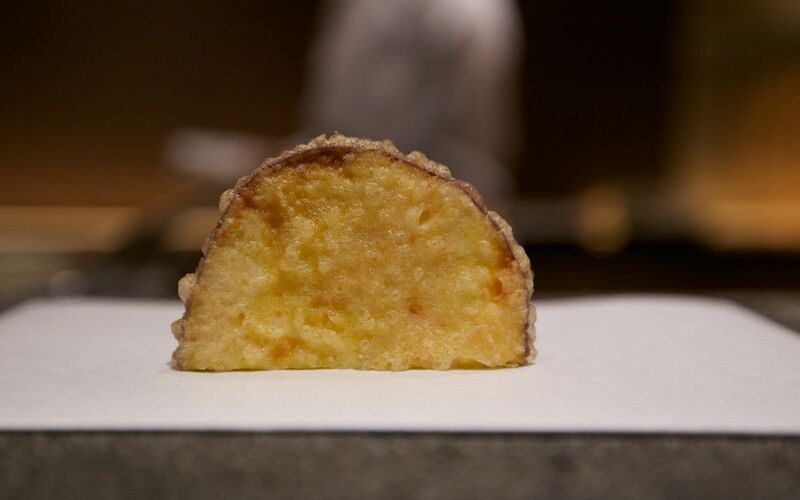 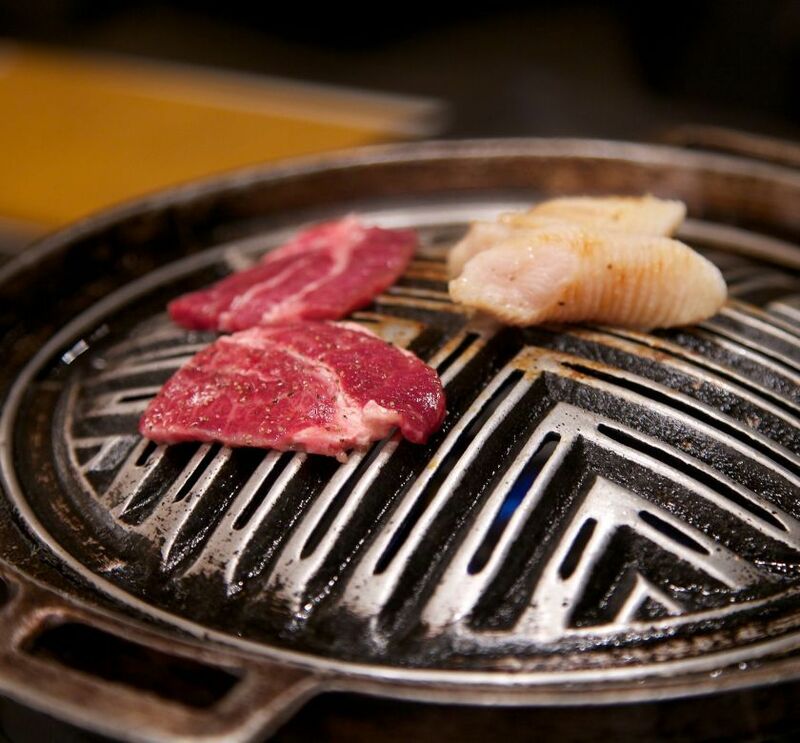 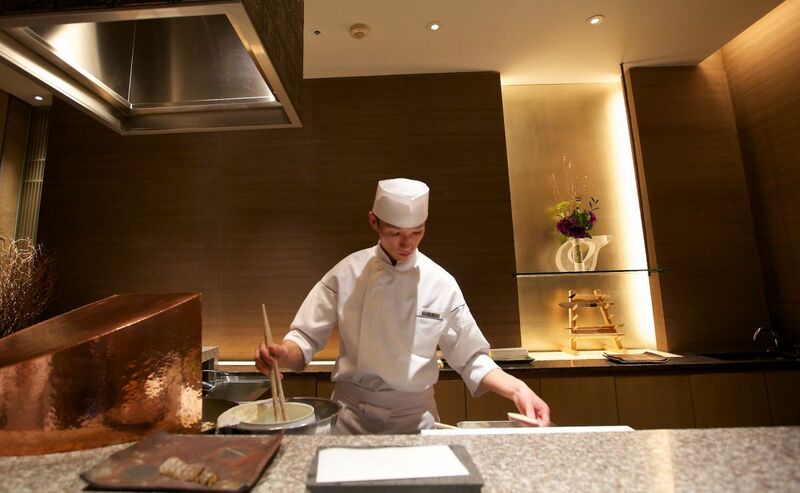 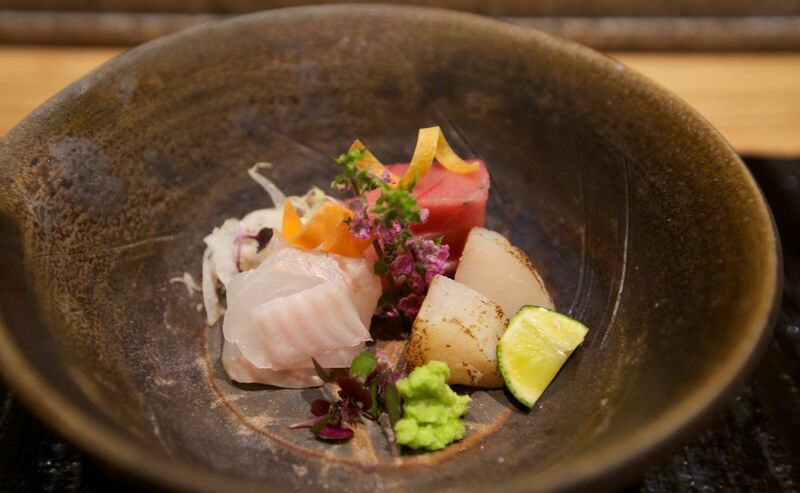 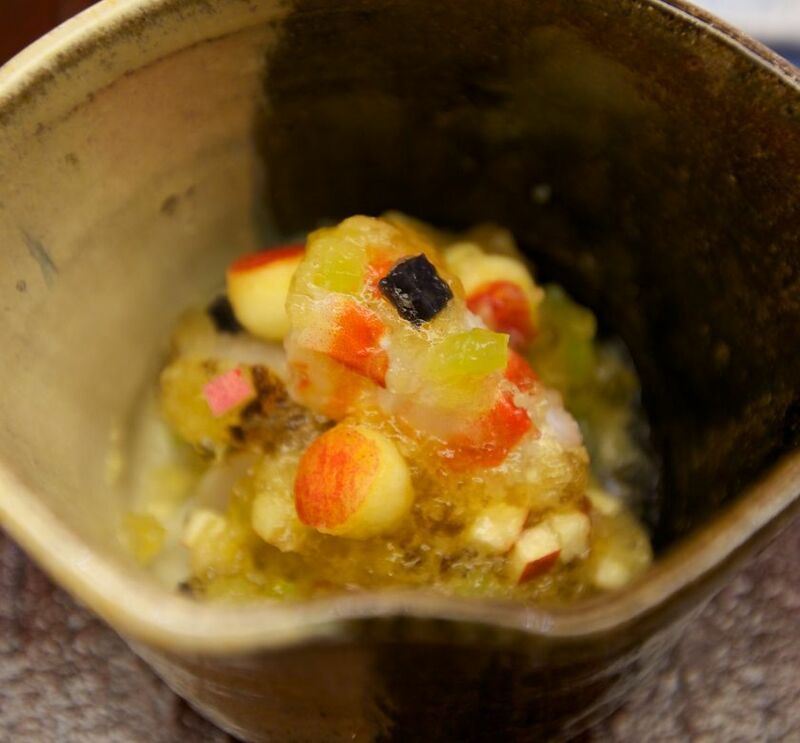 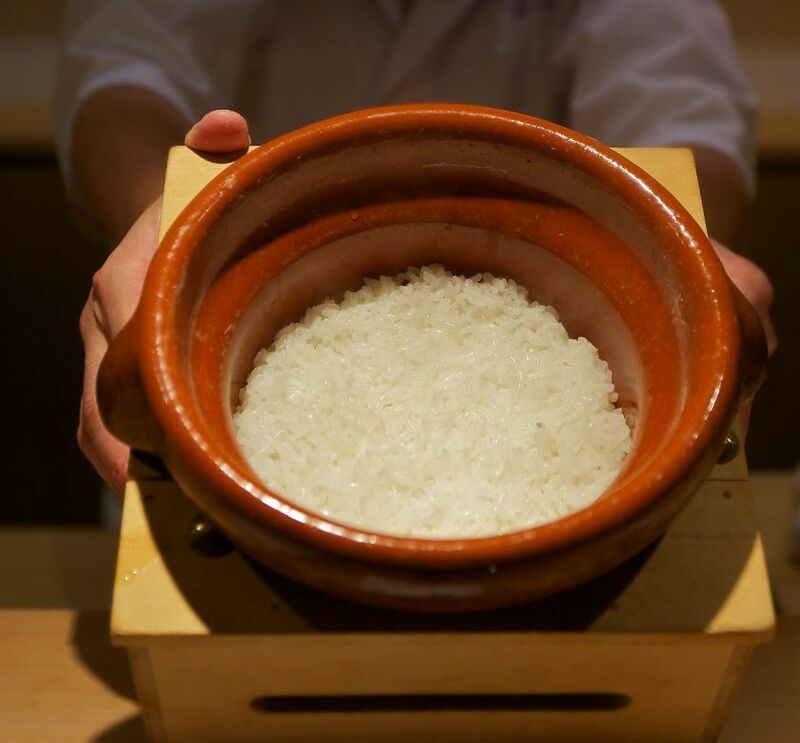 Both are expertly prepared, and would not look out of place in some of the city’s top Kaiseki restaurants given the product quality, and skill displayed. 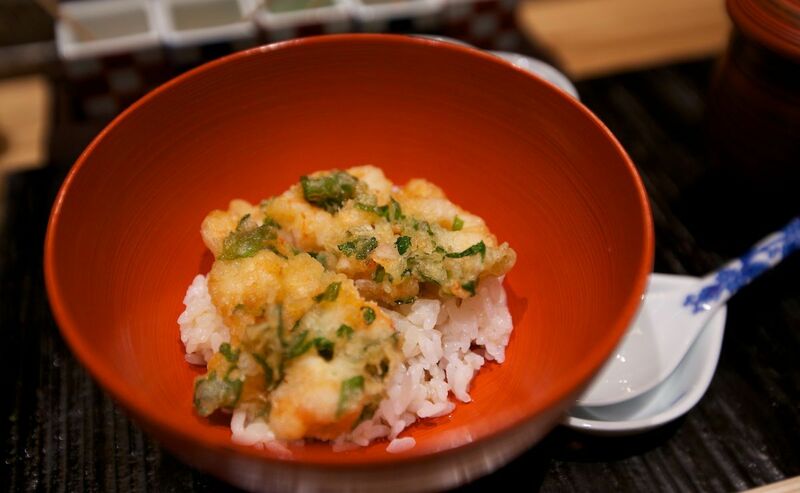 Tatsumi really excels with its Tempura, which is hardly surprising for a restaurant specialised in it. 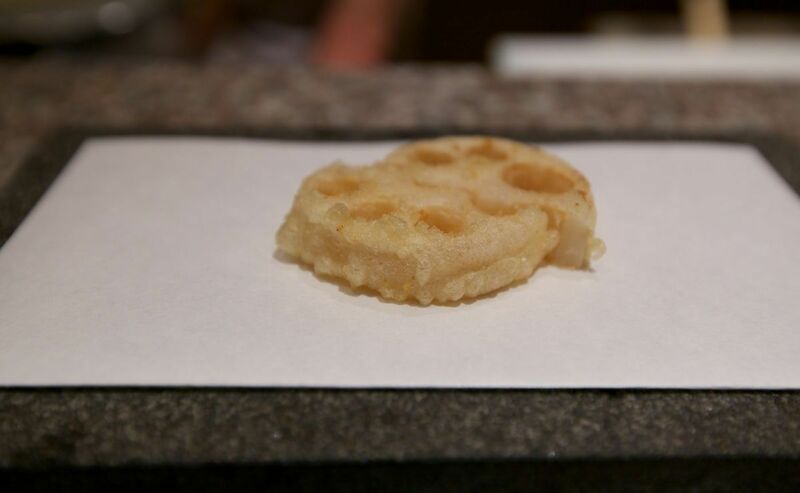 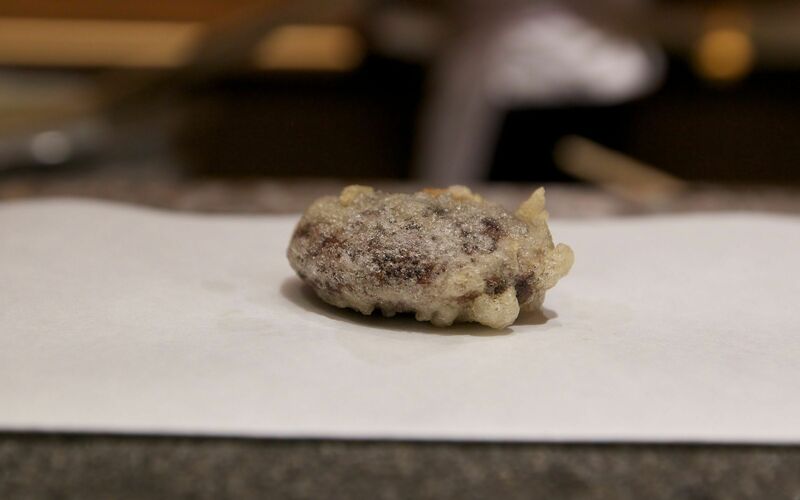 Tempura at Tatsumi, however, is a little different from that of many other restaurants, as the fried-batter results in an incredibly crisp, delicate, and almost crystalline texture. 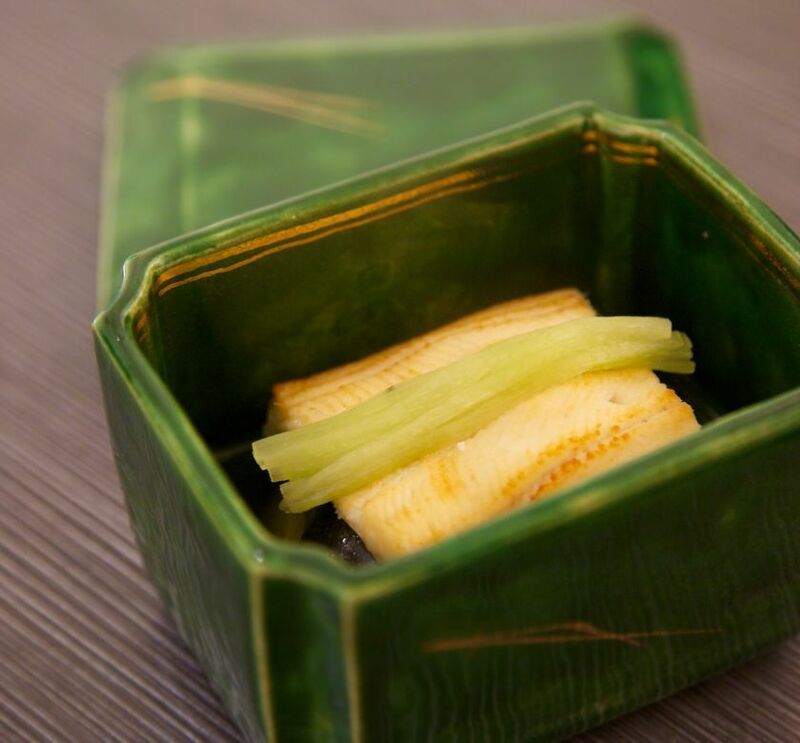 There is no palpable trace of oil in the pieces, and the brittleness of the batter is in stark contrast with other restaurants in Tokyo. 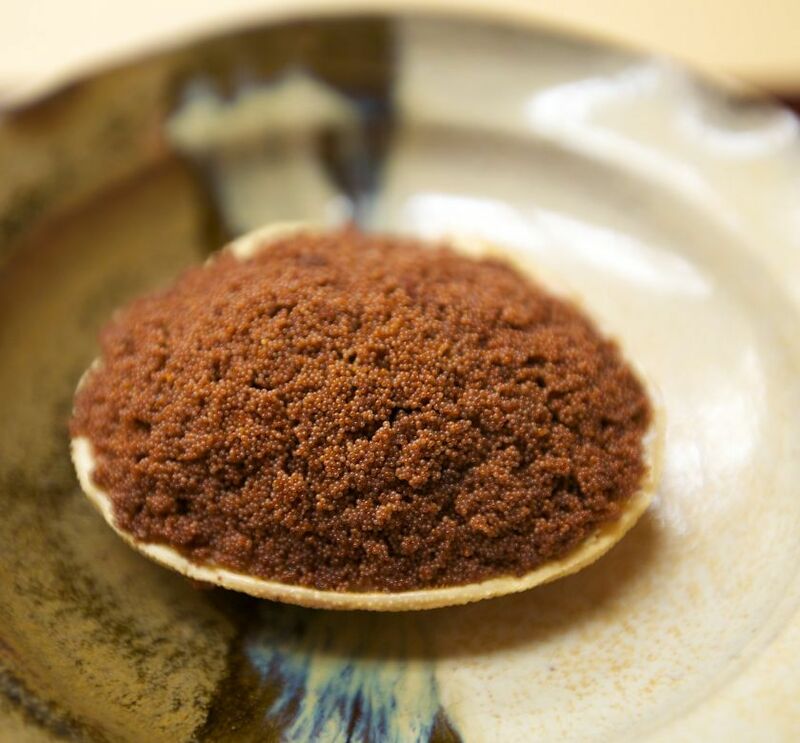 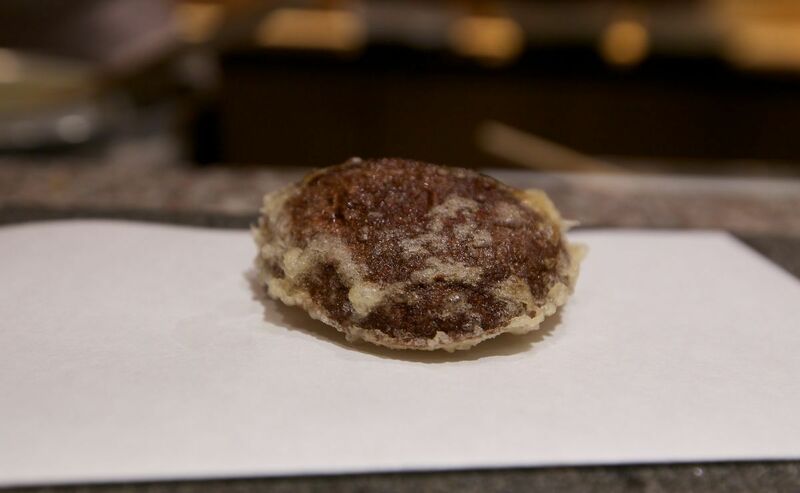 When travelling in season this contrasts remarkably with shirako (cod milt), which has a milky, creamy texture that really makes the delicate batter stand out. 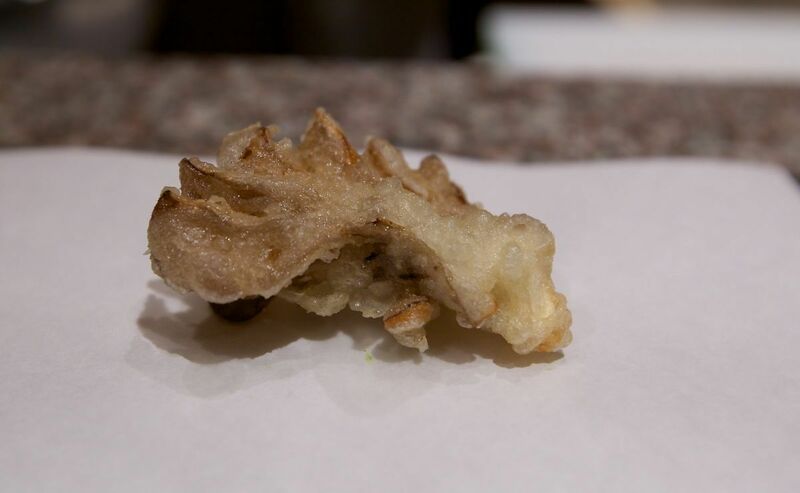 Similarly, deep-fried silverfish shows how this batter creates a contrast of texture that is most fascinating. 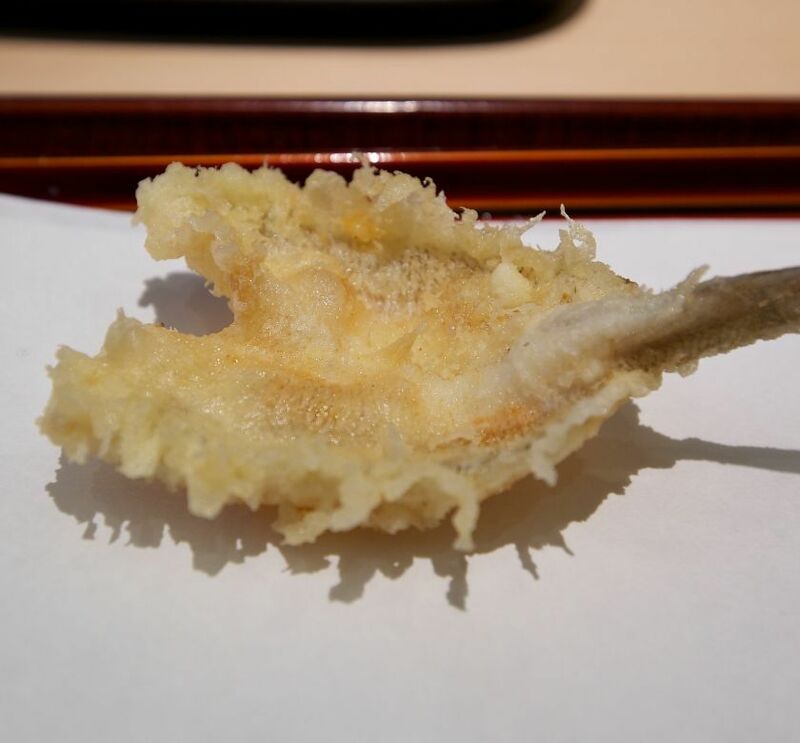 To counter the juicy, soft meat of the fish, you have the delicate batter that almost vanishes after a first crispy sensation. Similarly good are prawns, shitake mushrooms, lotus root, and other pieces. 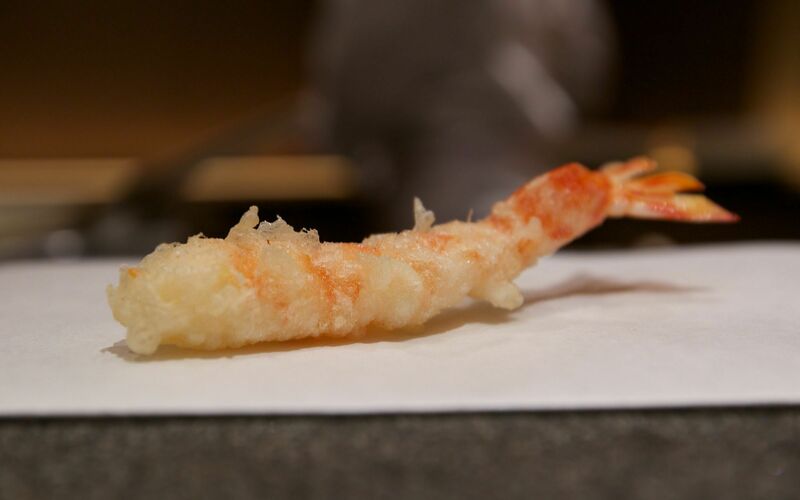 Tatsumi is hardly known outside of Tokyo, and not even mentioned in the Michelin guide, and yet this restaurant serves some of the most capable Tempura we have eaten in the city. Whilst stylistically different to the likes of Kondo or Raku Tei, this is certainly a lot more impressive than Kondo. What will be fascinating for anyone visiting both of Tatsumi and the former will be the remarkable difference in style. 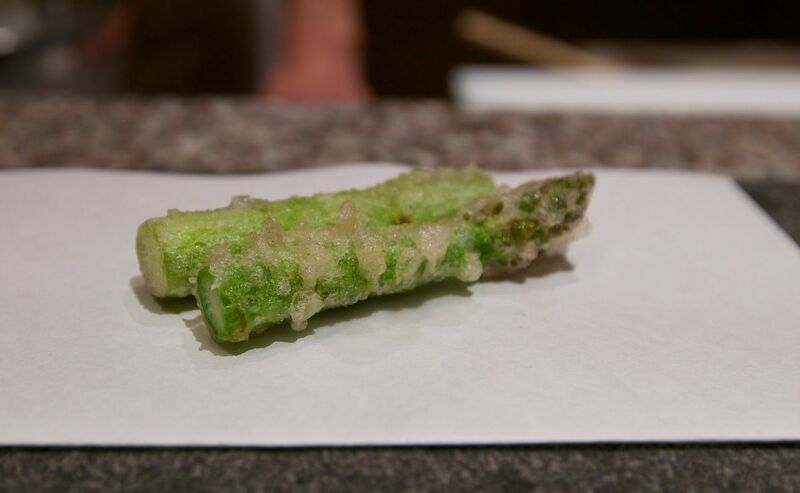 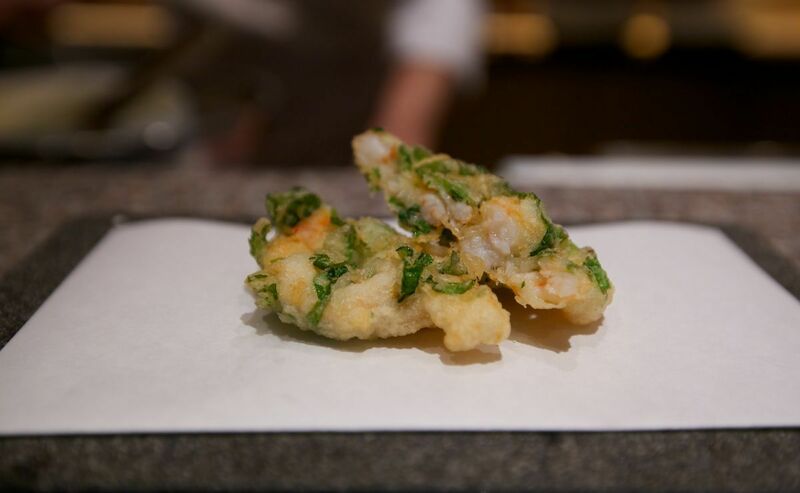 For something so seemingly simple, Tempura holds a lot more complexity than one might initially assume. 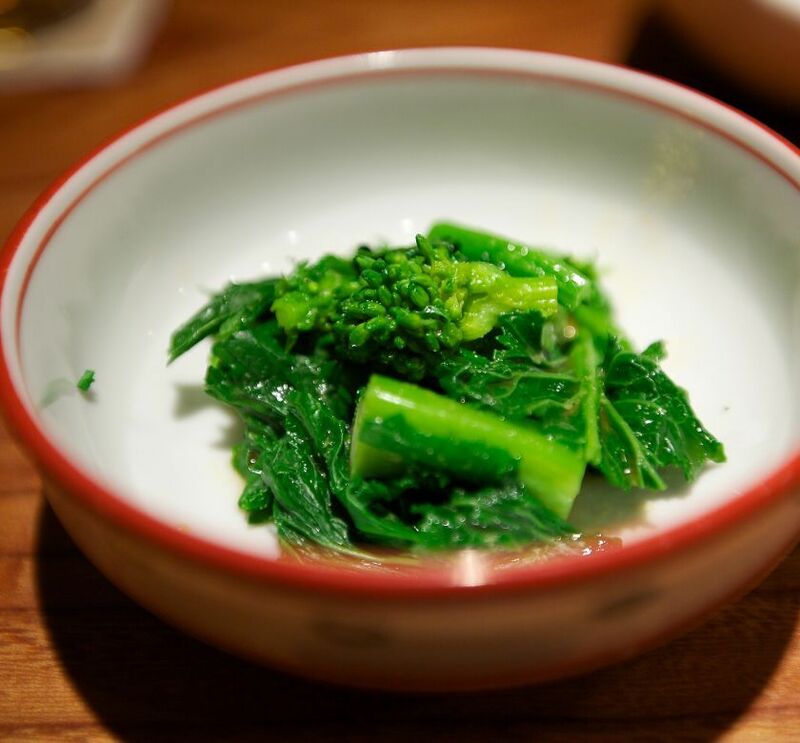 That is one of the characteristics of Japanese cooking that make it so compelling: a myriad of styles, procedures that differ from restaurant to restaurant lays behind a guise of simplicity, and minimalism. 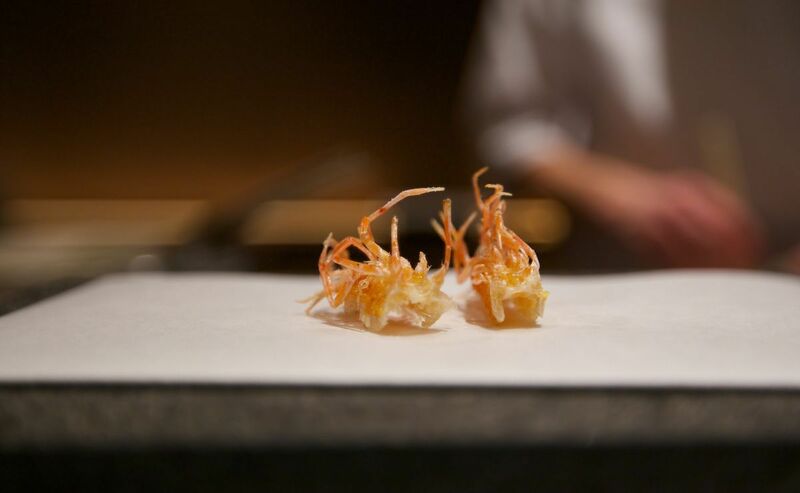 Tatsumi is a restaurant that is not particularly famous; all the more it is a restaurant that you can a seat on reasonably short notice. Given the quality of the food served here, this has to be one of the best-kept secrets in Tokyo.